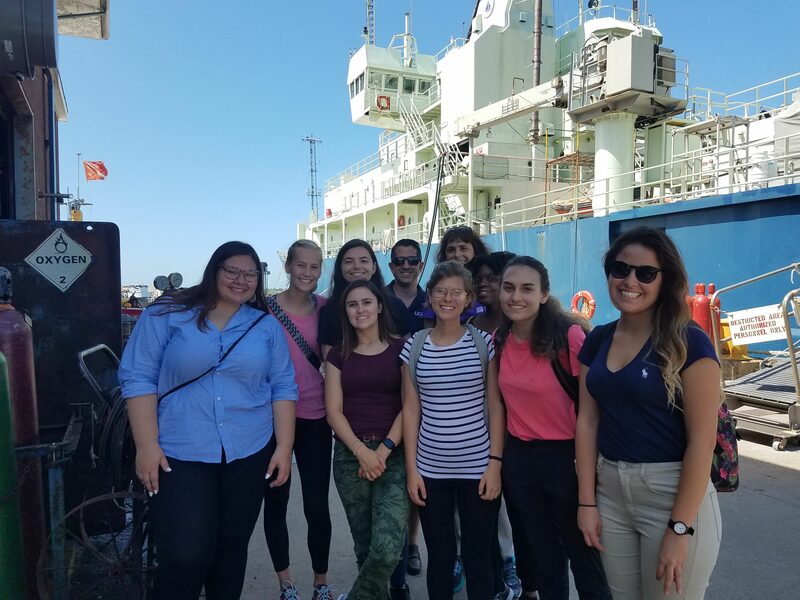 This summer, we completed the second year of our new Research Experience for Undergraduate program (REU), funded by the National Science Foundation. This program is an exciting partnership between the Mystic Aquarium and the Department of Marine Sciences (DMS) at Avery Point; co-directed by the aquarium’s chief scientist Dr. Tracy Romano and DMS alumni and collaborator Dr. Michael Finiguerra. The goal of the REU program is to immerse underrepresented students and students that that do not have access to research to the scientific process. 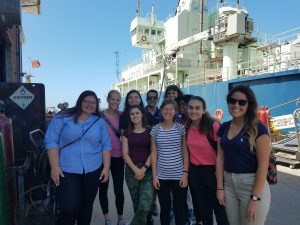 REU students are mentored by DMS faculty and aquarium scientists over ten weeks during the summer, while participating in behind-the-scenes professional development activities at the aquarium. Students presented their projects at a scientific symposium on campus and to the public at the aquarium.